Marilyn Hespel and Rich Taylor of Sunbird competed against Jack Sanders and Barb Jorgensen of Cottonwood on October 27. 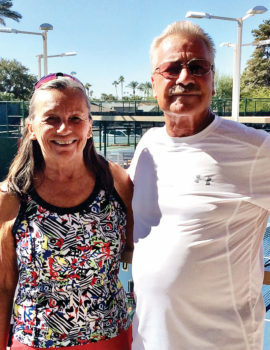 Dianna Wreford of Sunbird and Jack Veit of Cottonwood were directors of the tennis Social held October 27. 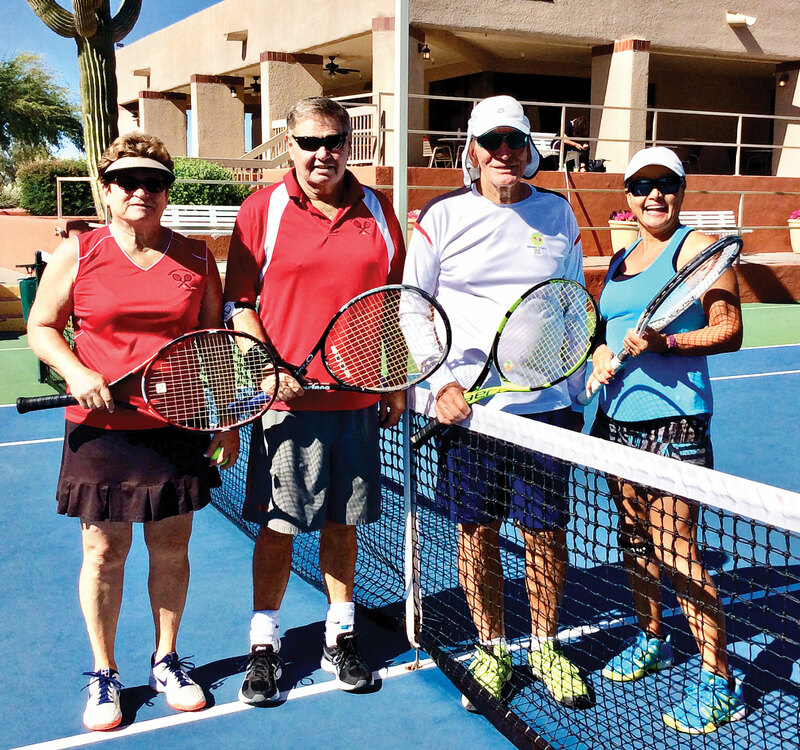 Three communities shared the fun with tennis competitions between Cottonwood, Sun Lakes Country Club and SunBird Country Club on Saturday, October 27. There were approximately 75 people who participated, not counting those who served food or organized various elements. 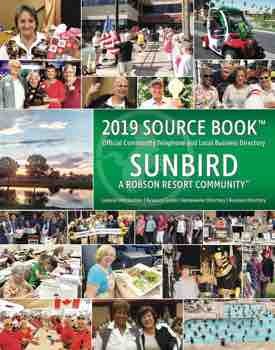 Organizers were John Veit for Cottonwood and Dianna Wreford for SunBird. Assisting with the schedule of matches were Barbara Jorgensen and Edith Tanniru. Jenny Veit organized the food court crew: Sylvia Page, Ollie Johnson, Sherri Butler, Len and Linda Vogelaar and others who stopped by to volunteer. Behind the scenes were Michael Verilli and Bob Walk. Another social may be scheduled for Spring of 2019.